It is curious that the practice of lighting lamps seems integral to Hinduism today, but it was not a dominant one in Vedic times, when the fire-altar of the yagna took centre stage. Perhaps its entry as a ritual owes much to non-Vedic Hinduism — a subject on which we have little information. Lamps slip into the Hindu ritual landscape subtly as Hinduism changes from invoking Vedic gods to venerating Puranic deities. The earliest indicator of this shift is the Bhagavad Gita verse 9.26, where Krishna says he accepts from his devotee a fruit, a flower, a leaf and even water (though he does not refer to lamps). In Vedic Hinduism, this was done through fire created using burning wood placed in an elaborate fire pit made of bricks. This fire was Agni, the mouth of the gods. Food was offered in the form of ghee (clarified butter) made potent by the chant of mantras (formulae). But in later Puranic Hinduism, whose rise we saw 2,000 years ago, the gods are no longer abstract entities. They become icons and offerings become very understandable: bath (abhishek), clothes (vastra), food (naivedya), unguents (gandha), incense (dhoop), and lamp (deep). Here, fire is admired not for its ability to consume ghee, or generate heat, but for its ability to bring light. This was, perhaps, the practice of common folk in India who worshipped trees and rocks and rivers and mountains, the various yakshas and nagas, using these rituals. In the evening, people were encouraged to light a lamp so that travellers could find refuge. Even today, people are asked to light lamps in the evening and, usually, the lamp is placed near the doorway, helping people find their way. 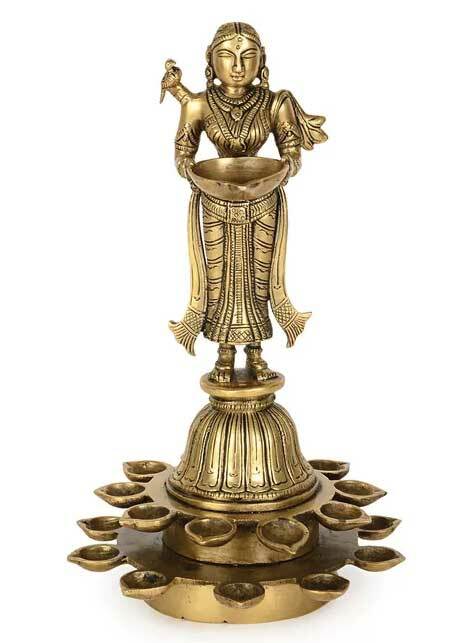 A lamp indicated the presence of a potter who made the clay lamp, or the affluent who could afford a metal lamp, the oil presser who provided the oil, or a cowherd who provided ghee, or a farmer who provided the cotton wick. In other words, the lamp was a symbol of culture (sanskriti) and lighting it indicated both abundance and consideration. The lamp was lit primarily by homemakers and is very different from the fire in the yagna shala lit by brahmins, which, in turn, is very different from the campfire (dhuni) of sanyasis. The campfire has no container (vedi) of bricks, revealing its wild nature. 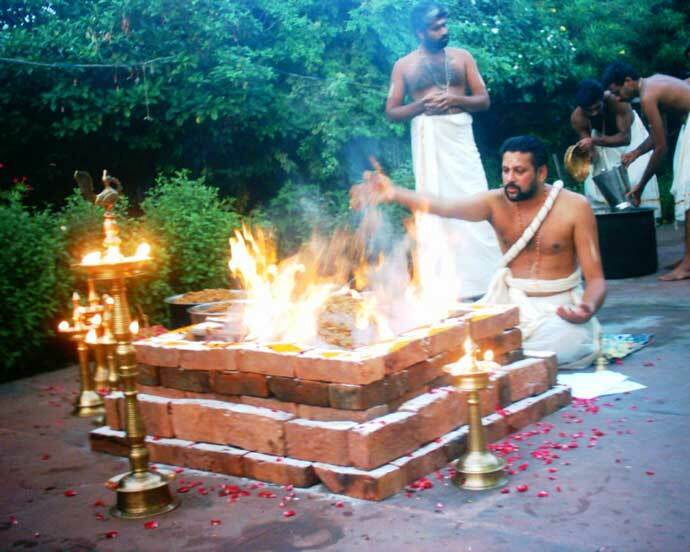 The fire of the yagna shala indicated domestication. And the lamp, a shift from the public to the private, indicated the rise of a more settled agrarian rural lifestyle of later Hindus, as against the nomadic lifestyle of early Hindus, or the Vedic people. More lamps naturally indicated affluence. And so lamps were lit regularly during celebrations. There would be lamps decorating the walls of the house. Lamps were put on boats to be floated in ponds and rivers during various festivals. And lamps were placed in the sky (kandil, or akash dip) using lanterns. Also read: Is divorce permitted in Hinduism?